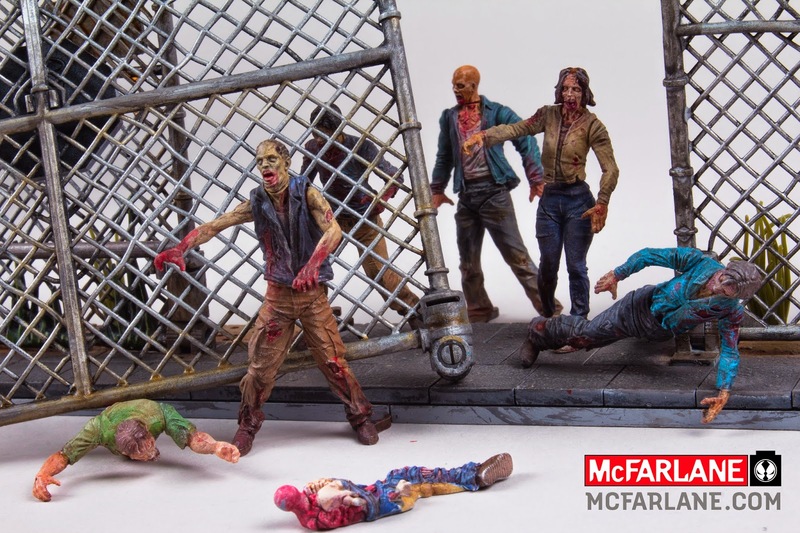 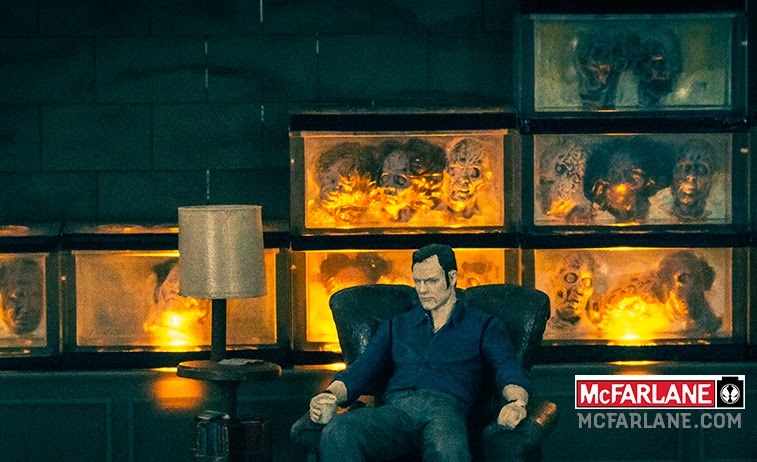 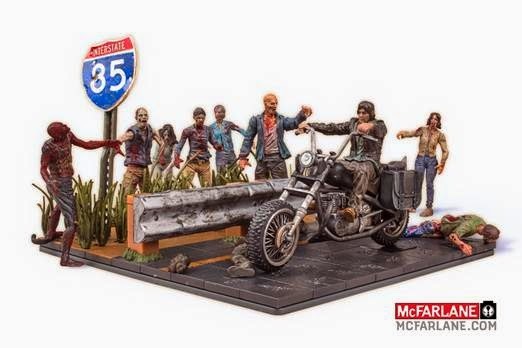 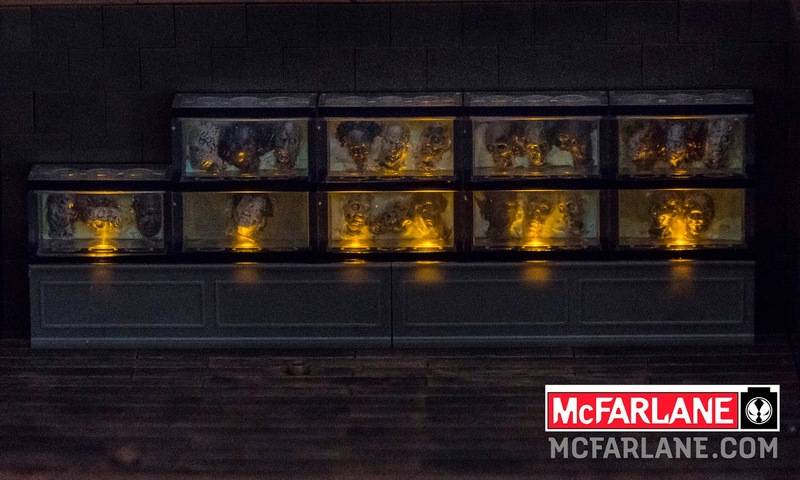 The initial McFarlane Toys’ The Walking Dead brick building line will feature realistic sculpts, light-up and shaped features, iconic environments, and dozens of your fan-favorite characters and walkers. 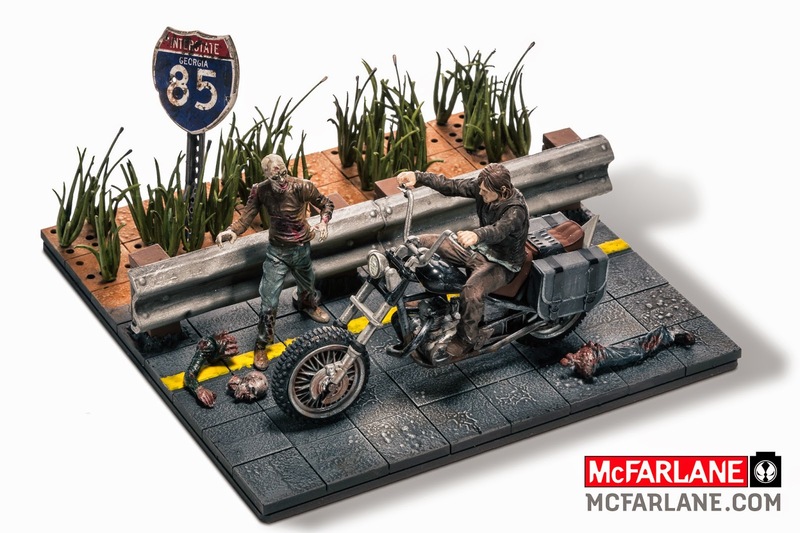 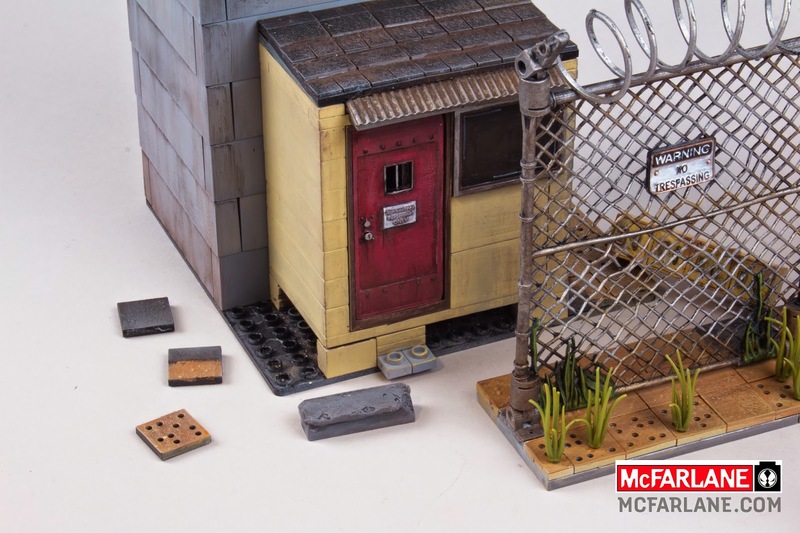 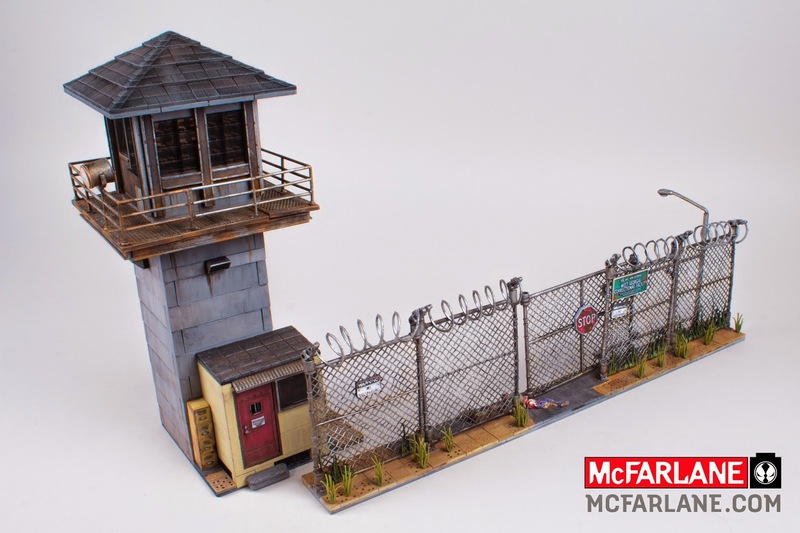 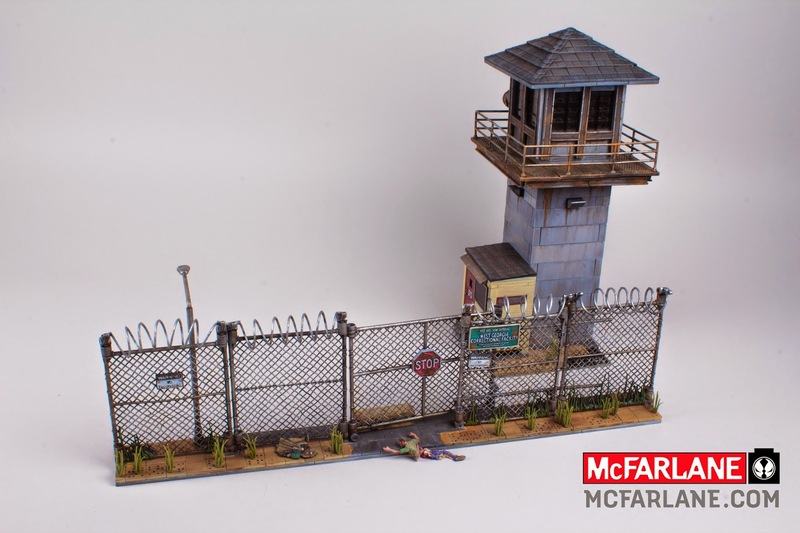 Both collectors and fans of the cult phenomenon can literally recreate their favorite scenes with this new highly detailed and realistic The Walking Deadproduct line. 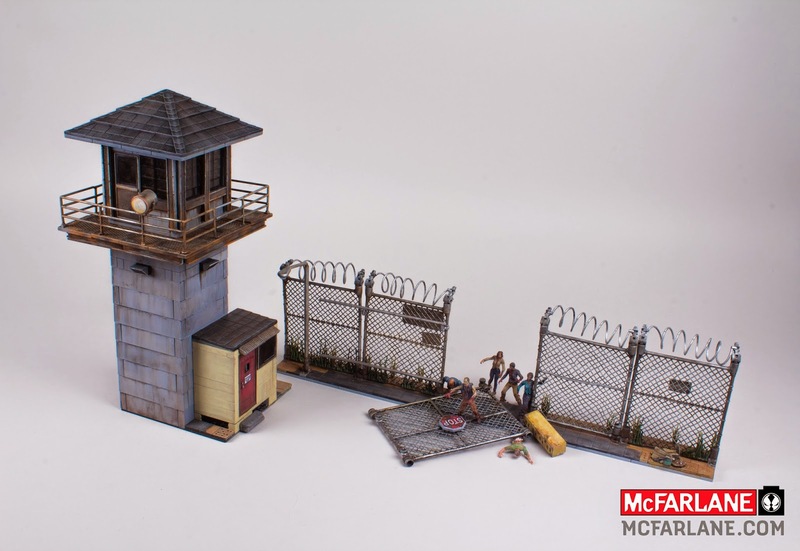 The Building Sets: MSRP $9.99-64.99 – Daryl Dixon with Chopper, The Governor’s Room, and Prison Tower with Gate. 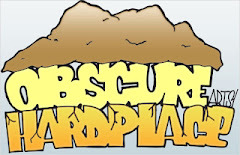 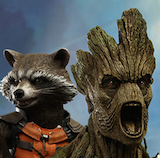 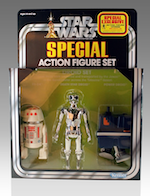 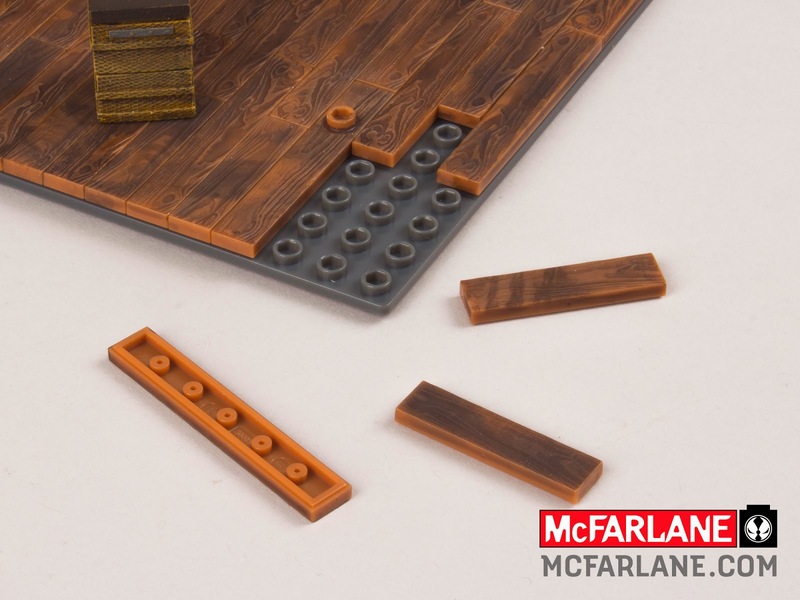 Expand your brick building apocalypse with additional figure and accessory packs.